In college, Steven Aronstein became debilitated by chronic pain throughout his body, weakness, gastrointestinal problems, and fatigue to the point of immunological & cognitive impairment. At the age of 19, he found himself with less health and function than most 70 year olds. Steven was officially diagnosed by specialist hospitals with fibromyalgia, a chronic illness of the nervous system and joints. Unlike depression and other psychiatric disorders, this illness met very different criteria: For example, studies and tests have shown that depressed patients consistently underestimate their ability to perform tasks, while fibromyalgia patients consistently overestimate their abilities. In other words, patients suffering the way Steven did find themselves rapidly becoming a shadow of their former selves, despite their best efforts and intentions, and regardless of any other circumstances. This was definitely Steven’s situation: Ultimately, this condition necessitated medical leave from college, and he moved in with his family, as he was bedridden and unable to take care of himself, much less drive a car long distances or hold a job. He didn’t have the strength or energy to exercise anymore, and his weight dropped to 125 pounds. Steven continued to look for answers. He sought out every medical and alternative approach he could find, and did research for whatever hours of the day he had the strength and focus. Staying in New York afforded the best and most extensive options. Medicine, vitamins & supplements, physical therapy, many varying forms of Chiropractic, Feldenkrais, Alexander Technique, Cranio-Sacral technique, Rosen Method, Body-Mind Centering, shiatsu, meditation, massage, martial arts, Asian medicines, psychological counseling, and many, many other efforts all failed to help at all or, occasionally, offer more than temporarily partial relief. Steven read Thomas Hanna’s book about Clinical Somatic Education, and found an explanation for virtually everything he had been experiencing, and conclusions that reflected the best, most advanced research he had come across. Medical doctors and alternative practitioners alike didn’t know anything about it, and there were no practitioners to be found anywhere within 3,000 miles. Finally a practitioner surfaced 200 miles from his home, and Steve found the first real improvements in his condition in 3 years of searching. With most practitioners located far away at the time, his progress was uncommonly slow: However, with persistent long-distance travels, he gradually improved, and found himself symptom free within another 3 years. That was in 1995. 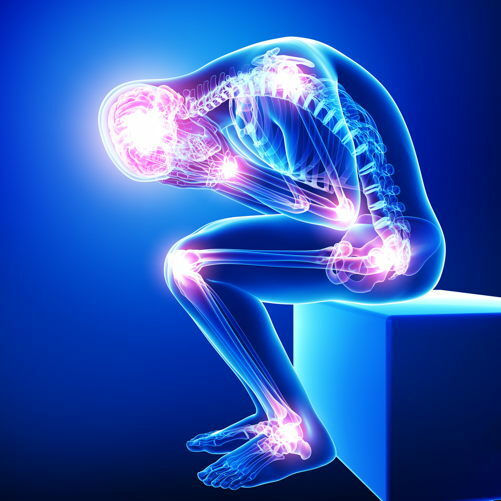 Whereas then fibromyalgia was a strange, newly discovered syndrome, now there is a whole field of study dedicated to it, and support systems galore. While support groups and medical “experts” continue to discuss and treat fibromyalgia as a chronic, life-long illness and disability, Steven has remained fully cured and functional to this day.